Sold by Moran Yacht & Ship in 2012 as Project SOLAR, the 106.7m Oceanco sailing yacht BLACK PEARL was delivered to her owner in 2018. This gorgeous tri-deck sailing yacht was designed by Nuvolari Lenard and was built with a steel hull and aluminum superstructure and incorporates features never seen before in the yachting world. 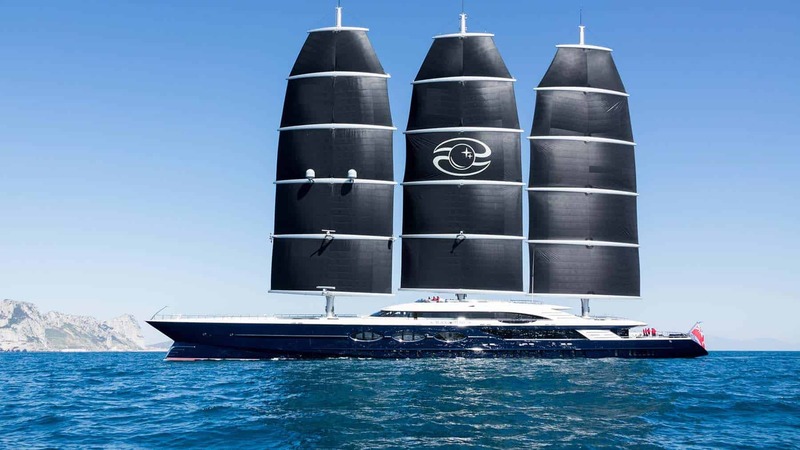 She features 3 awe-inspiring 70m Dynarig carbon masts which allow her to reach speeds in excess of 30 kts under sail. Featuring a total interior volume over 2,700 GT, BLACK PEARL accommodates 12 guests comfortably in 6 spacious staterooms. Moran Yacht & Ship’s new construction team wrote the technical specifications, negotiated the entire build contract including the interior & Dynarig, and sold the BLACK PEARL project.